News & Trends> Product Trends > Industrial machines and equipment > Printing Press adapts to virtually all plate tooling. Printing Press adapts to virtually all plate tooling. St. Louis, Missouri, USA – Mark Andy Inc., the global leader in label and package printing and converting machinery, has released a new model, the Performance Series P4. The P4 is an economical model offering features and value that bring the innovation award winning benefits of the Performance Series press platform to an even broader range of mid-sized label printers and converters. 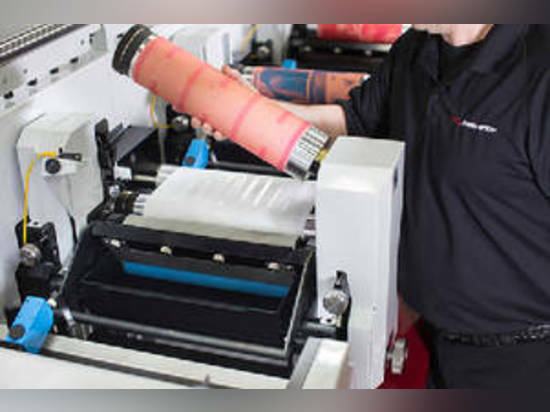 This model was designed with economy and automation in mind, and is well positioned to replace existing mechanical presses still being used today, allowing printers and converters to remain competitive and modernize their operations. Featuring the key Performance Series attributes including load-and-lock inking system and extremely fast set up and changeover times that improve productivity by 60%, the new P4 is servo-driven, resulting in enhanced automation and precision. At the same time, the P4 is extremely flexible. Converters can configure a P4 with the advanced P Series style plate tooling, or select a configuration which accepts existing or traditional style plate cylinder tooling, promoting use of current tooling inventories and minimizing investment costs. This latest P Series model also features a rail system, onto which moveable inter-station processes like cold foil, lamination, screen, turnbar, etc. can be mounted and moved from station to station easily, giving more flexibility in job capability. Additional benefits of the new P4 include improved print and registration management; higher productivity with faster set up, changeovers and running speed; broader application and substrate capabilities; and a completely upgradeable, modular design. The new Performance Series P4 is now available from Mark Andy and will be making its global debut at Labelexpo Europe September 29 – October 1 in Brussels, Belgium. In Hall 4, Stand C45, visitors will witness firsthand the new features of the P4 running several live demonstrations daily and featuring ProLED UV LED curing. 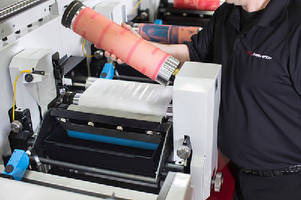 ProLED is a fully integrated UV LED curing system that reduces energy consumption while providing a cleaner, mercury-free printing environment. The NEW Mark Andy Performance Series P4 has a redesigned print head but retains the wide open access unique to the Performance Series product line. Featuring load-and-lock inking system, Performance Series P4 is servo driven, resulting in optimized automation and precision. Converters can configure P4 with advanced P Series style plate tooling, or select configuration which accepts existing or traditional style plate cylinder tooling. Unit also features rail system, onto which moveable inter-station processes like cold foil, lamination, screen, and turnbar can be mounted and moved from station to station.